The CIO (Counter Intelligence Operator) Mjölnir GEN2 armor was one of the variants we got to see in the multiplayer levels from Halo 4. 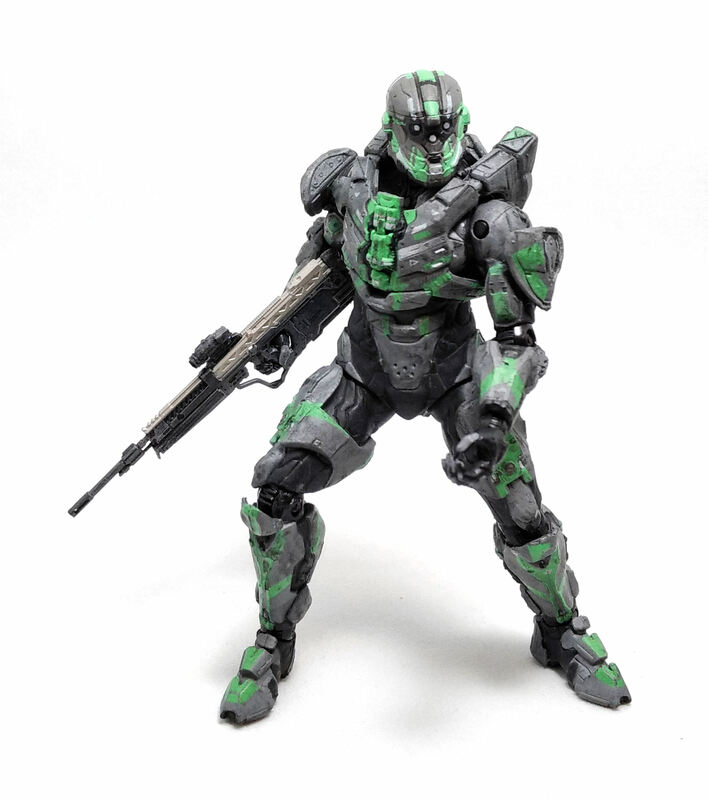 According to the lore, the Spartan CIO armor was developed specifically to offer an increased performance in espionage and counter-intelligence missions, rather than combat. 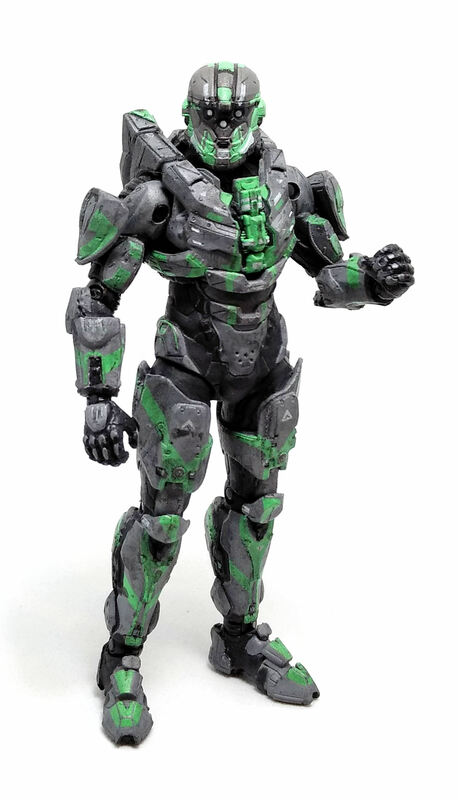 The funny thing is that this Spartan armor design is in fact a wink from game developer 343 Studios to Ubisoft’s Splinter Cell series of games, where hero Sam Fisher wears a set of enhanced-vision goggles with the characteristic three lenses. 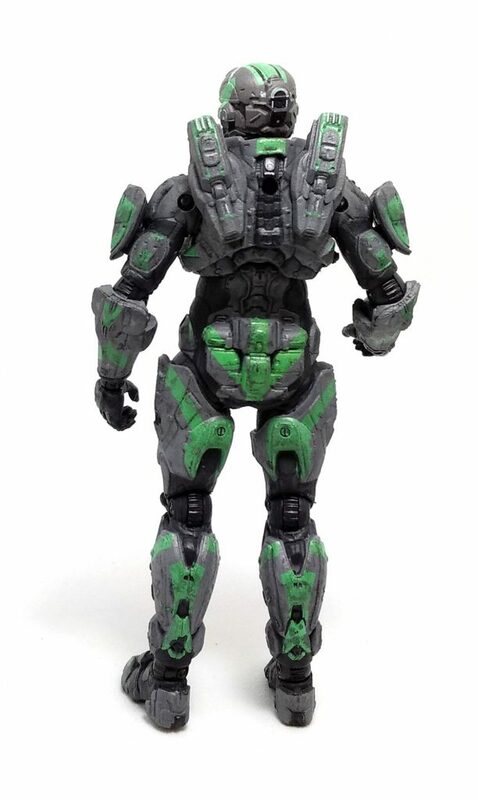 This particular version of the CIO Spartan was part of McFarlane Toys’ series 2, and sold in the USA as a Walgreen’s exclusive, although it could be found at mass retail everywhere else. The CIO Spartan shares surprisingly few pieces with other GEN2 attired Spartans, even though the overall outline remains very similar. The armor elements that are not molded onto the limbs and/or torso are firmly glued, so mixing and matching pieces to produce different armor variations is out of the question. The level of detail on the CIO is quite impressive, with deeply recessed panels and heavily textured surfaces. 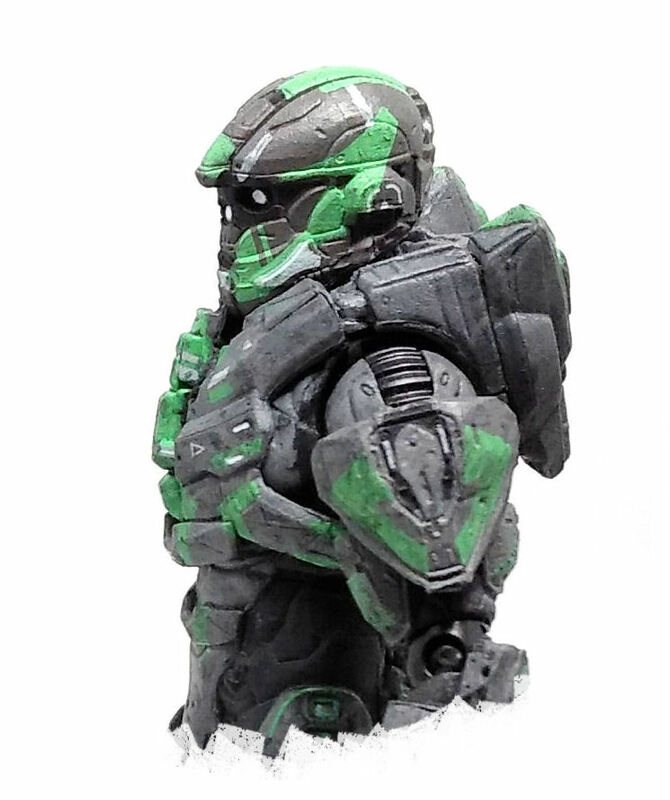 As mentioned before, instead of a standard Spartan visor, the CIO has what they call “tricloptically fixed multi-spectral imaging array”, that can just be described as a three round dots in the middle of the faceplate, but even without the traditional reflective visor you can still tell what the character is supposed to be. While the CIO Spartan will not be winning any gymnastic competition due to the hip joint design, there is enough range of movement all around to adopt reasonably dynamic poses with little trouble. 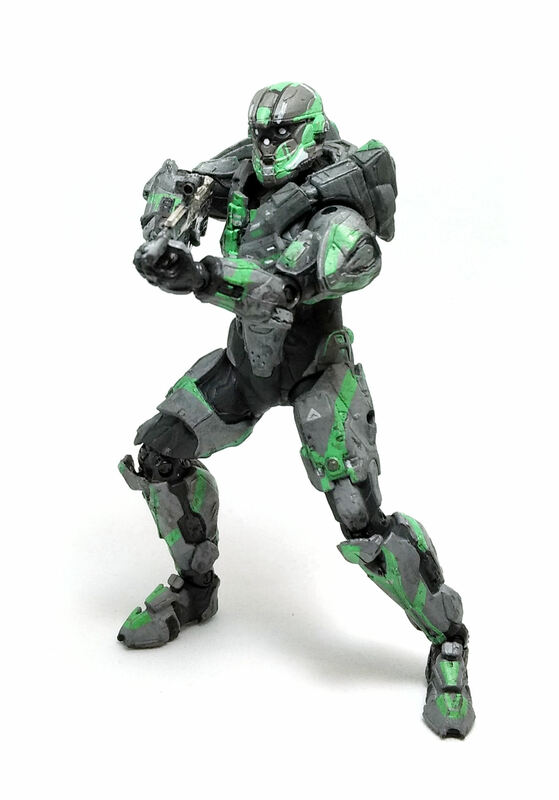 The paintjob on this CIO is quite interesting, as he has the Bones Skin applied in a mint green color over the steel-gray armor. The under suit was painted matte black, but all the bulkier armor plates show some weathering effects as well as smaller paint apps in silver and black for extra detail. The lenses on the helmet were painted solid white. As far as weaponry, the Spartan CIO has a DMR (Designated Marksman Rifle) fitted with a removable peg used to secure the weapon to the Spartan. I will also mention that a redeemable code was included to download the Bones Skin for the game, but chances are it expired long before I got this figure. 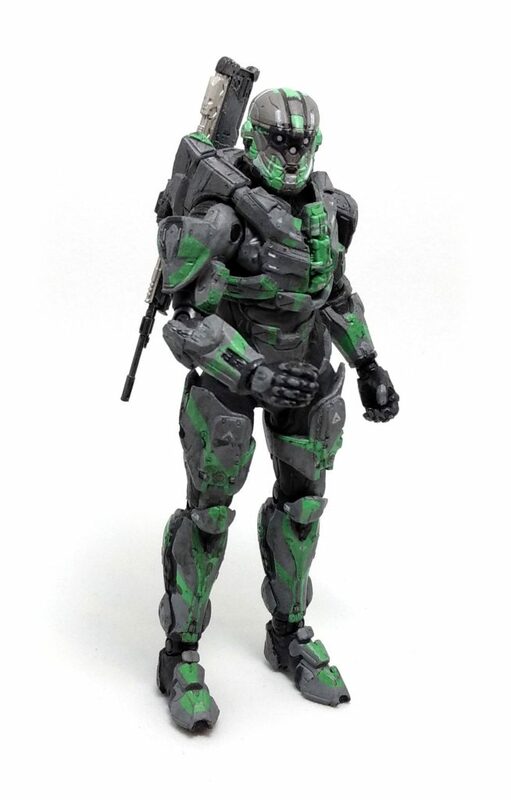 This Spartan CIO is probably my favorite out of the entire Halo 4 line (just behind the Master Chief himself) thanks to the striking color scheme.